In this blog post, I will discuss an important question for young researchers, which is: Is it better to try to write more papers or to try to write fewer but better papers? In other words, what is more important: quantity or quality in research? To answer this question, I will first explain why quantity and quality are important, and then I will argue that a good trade-off needs to be found. Quantity shows that someone is productive and can have a consistent research output. For example, if someone has published 4 papers each year during the last four years, it approximately shows what can be expected from that researcher in terms of productivity for each year. However, if a researcher has an irregular research output such as zero papers during a few years, it may raise questions about the reasons why that researcher did not write papers. 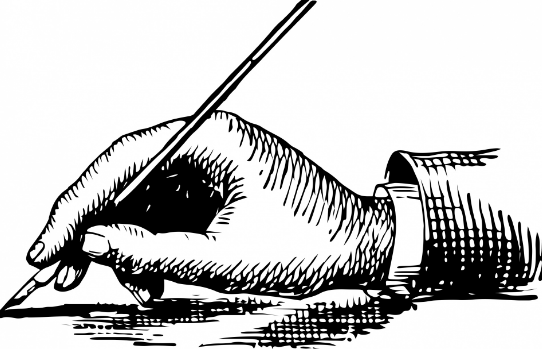 Thus writing more show to other people that you are more active. Quantity is correlated with research impact. Even though, writing more papers does not means that the papers are better, some studies have shown a strong correlation between the number of papers and the influence of researchers in their field. Some of reasons may be that (1) writing more papers improve your visibility in your field and your chances of being cited, (2) if you are more successful, you may obtain more resources such as grants and funding, which help you to write more papers, and (3) writing more may improve your writing skills and help you to write more and better papers. Quantity is used to calculate various metrics to evaluate the performance of researchers. In various countries and institutions, metrics are used to evaluate the research performance of researchers. These metrics include for example: the number of papers and the number of citations. Although metrics are imperfect, they are often used for evaluating researchers because they allow to quickly evaluate a researcher without reading each of his publications. Metrics such as the number of citations are also used on some website such as Google Scholar to rank articles. Quality shows that you can do excellent research. It is often very hard to publish in top level journals or conferences. For example, some conferences have an acceptance rate of 5 % or even less, which means that out of 1000 submitted papers, only 50 are accepted. If you can get some papers in top journals and conferences, it shows that you are among the best researchers in your field. On the contrary, if someone only publish papers in weak and unknown journals and conferences, it will raise doubts about the quality of the research, and about his ability at doing research. Publishing in some unknown conference/journals can be seen as something negative that may even decrease the value of a CV. Quality is also correlated with research impact. A paper that is published in a top conference or journal has more visibility and therefore has more chance of being cited by other researchers. On the contrary, papers published in small or unknown conferences have more chance of not being cited by other researchers. So what is the best approach? In my opinion, both quantity and quality are important. It is especially important to write several papers for young researchers to kickstart their career and fill their CV to apply for grants and obtain their diplomas. But having some quality papers is also necessary . Having a few good papers in top journals and conferences can be worth much more than having many papers in weak conferences. For example, in my field, having a paper in a conference like KDD or ICDM could be worth more than 5 or 10 papers in smaller conferences. But the danger of putting too much emphasis on quality is that the research output may become very low if the papers are not accepted. Thus, I believe that the best approach is to use a trade-off: (1) once in a while write some very high quality papers and try to get them published in top journals and conferences, (2) but sometimes write papers for easier journals and conference to increase the overall productivity, and get some papers published. Actually, a researcher should be able to evaluate whether a given research project is suitable for a high level conference/journal or not based on the merit of the research, and whether the research needs to be published quickly (for very competitive topics). Thus, a researcher should decide for each paper whether it should be submitted to a high level conference/journal or something easier. But, there should always be a minimum quality requirement for papers. Publishing bad papers or publishing very weak papers can have a negative influence on your CV and even look bad. Thus, even when considering quantity, one should ensure that a minimum quality requirement is met. For example, since my early days as researchers, I have set a minimum quality requirements that all my papers be at least published by a well-known publisher among ACM, IEEE, Springer, Elsevier, and be indexed in DBLP (an index for computer science). For me, this is the minimum quality requirement but I will often aim at good or excellent confernce/journal depending on the projects. Hope that you have enjoyed this post. If you like it, you can continue reading this blog, and subscribe to my Twitter ( @philfv ). 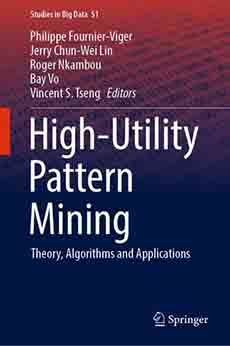 Why data mining researchers should evaluate their algorithms against state-of-the-art algorithms?